Fun Cheap Things to Do in Orlando with Kids! Our first stop on our Road Trip USA Deep South Tour was Orlando. We spent three nights here. Our budget was about US$136 a day after taking out the cost of our car hire for the four of us. This is not a bad budget in many parts of the US. However, there are so many fun things to do in Orlando with kids, and they all seem to cost a ridiculous amount. On this budget, you can forget things like Disney World, Universal Studios and Sea World which cost nearly this per person. Thankfully, there are still cheap fun things to do in Orlando – and we enjoyed discovering them! Here is what fun cheap things to do in Orlando we enjoyed as well as a guide to great value accommodation and other practical information from our stay. 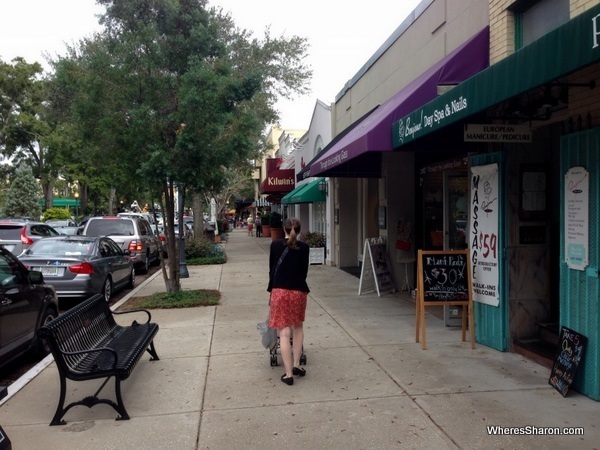 Winter Park is a gorgeous town located about ten minutes drive from downtown Orlando. 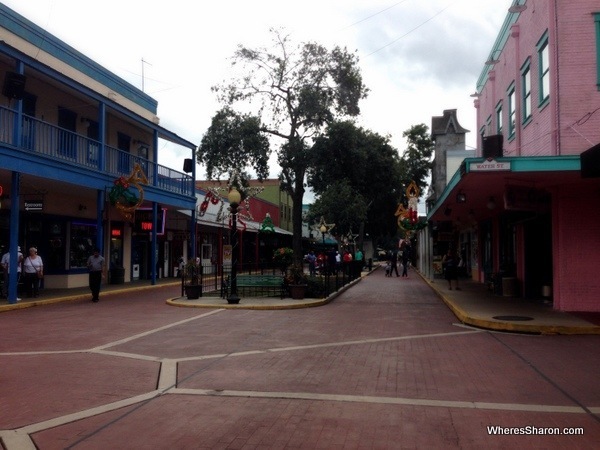 It is a lovely area with a pretty downtown area that we enjoyed strolling around. It is adjacent to a big park complete with many squirrels which amused the kids and is full of charming little shops, eating establishments and things like old school fudge and lolly places, cheese makers and wine stalls. There are also some museums, a scenic boat ride and an ice skating rink set up for winter. I was happy enough walking around taking in the beautiful surrounds and snacking on some yummy home made cookies. If I ever come back to Orlando, I would love to stay in this area. 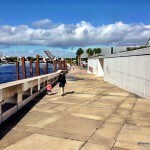 This is a great area to visit if you are looking for fun things to do in Orlando for cheap. 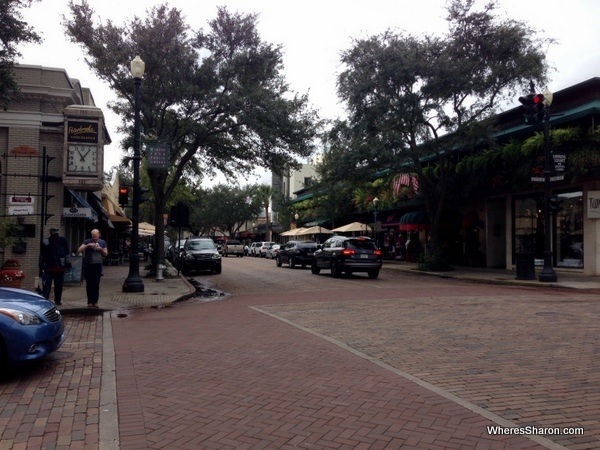 Another interesting town in the Orlando area is Celebration. Disney built this town in 1994 from swamps and it is meant to represent small town America. It is a gorgeous place to drive around. 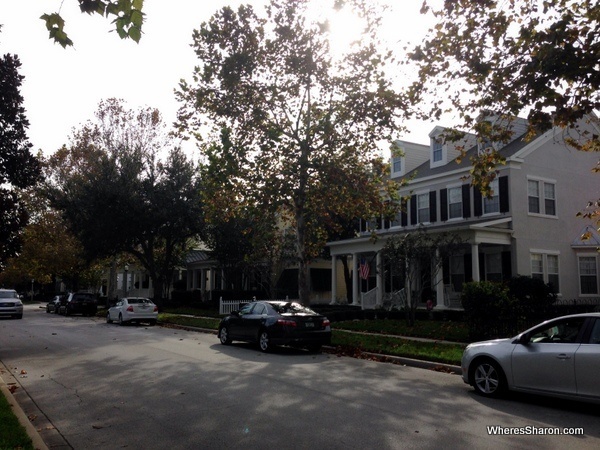 It actually reminded me of Wisteria Lane on Desperate Housewives! Full of old looking, big houses with big porches and swinging chairs. There were rumors at one point that Disney paid people to sit rocking on their porches to add to the area’s vibe! My favourite part was the pretty letterboxes complete with little flags that the postman rises if there is mail. It is built to be a walkable town and the downtown area was very cute especially as they were just putting up Christmas decorations. Celebration is worth a drive or a walk around if you are looking for cheap stuff to do in Orlando . 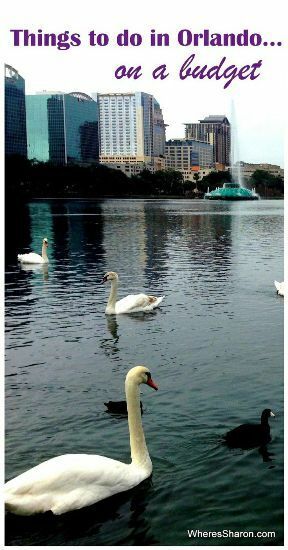 This pretty lake and great park are located in downtown Orlando. There are lovely views of the downtown area, a nice shady path around the lake and a good playground. There are also many birds, swans, ducks and other creatures that our kids loved, as well as food available to feed them for a quarter. 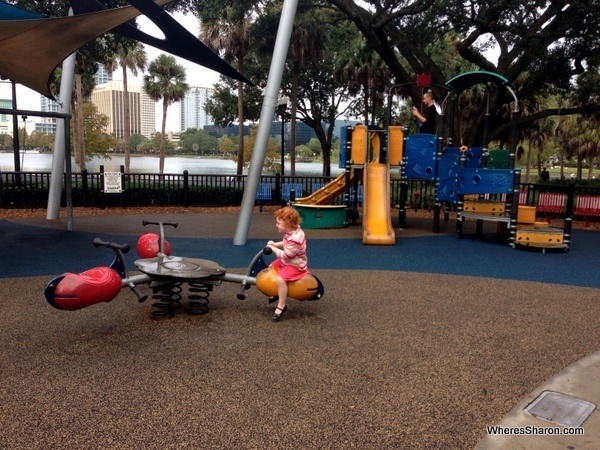 It’s a great choice if you are looking for cheap and fun things to do with kids in Orlando. I am actually a bit confused about whether this is one attraction or two! But either way, they are fun things to do in Orlando for kids or even if you don’t. They are next door to each other. They each have a theme park full of amusement park style rides. You pay per ride (or can get a pass for unlimited rides) and parking, entry and wifi is free. There are quite a few kids rides and our three year old just loved it. There were rides that would have also amused me if I had come without kids including zip lines, roller coasters, the world’s tallest skycoaster, 4 go-kart tracks – there are far more things than I realised when I first entered. The kids rides were $3 each, as were many of the other rides. 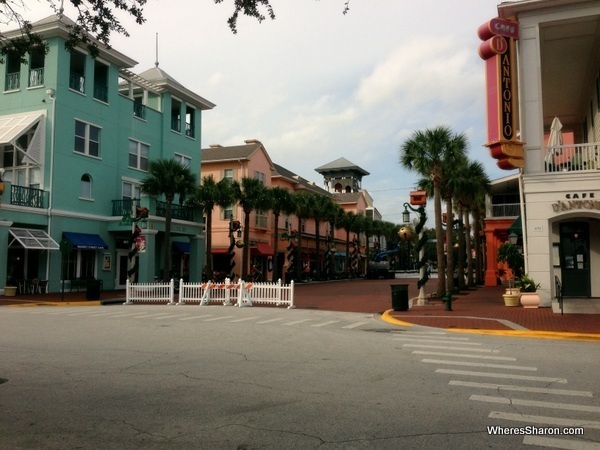 Old Town USA has a long strip of shops, restaurants and bars. If we had been there closer to dinner time, there are many places I would have liked to try. It has a certain charm about it. It also has a haunted funeral parlour, a shooting alley and a bucking bull. The best part about these attractions were no lines! There were people around but not many and we didn’t have to wait for anything. After our disastrous attempt at Disney World, this was a great relief. 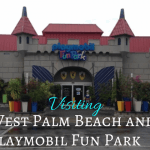 We enjoyed our visit here a lot as it was nice and easy and we managed to have a great time for less than $20. 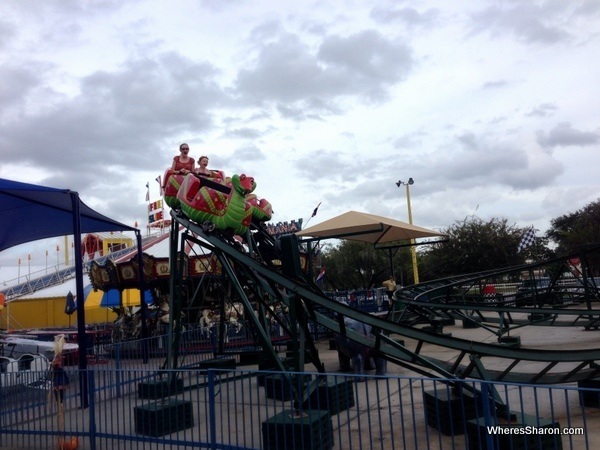 This is a good choice of the cheap things to do with kids in Orlando if you still want to go on some rides or you are just looking for cheap fun in Orlando. You need your own car to get around to all these sites and parking was readily available at all of them. We also made it to Disney World – this is obviously not something I would list as being one of the things to do in Orlando with kids for cheap. My mum gave us some money for this trip in place of Christmas and birthday presents for the last year and we used some of that for S and I to visit this attraction. You can read more about that in my post about visiting Disney World with toddlers. The accommodation in Orlando seems to be some of the best value in the country. There are so many choices and they all seem to be incredibly good value. In fact, if you are looking for cheap family fun in Orlando – your hotel can often deliver that. Here are our choices. We recommend using HotelsCombined to find the best accommodation and prices. It combines all the best hotel booking sites and shows you which one has the best price. Palms Hotel and Villas, Kissimmee – This is where we stayed. We paid more than our usual budget because we were able to have a two double bed, one bedroom apartment with included breakfast and a free shuttle to the theme parks a this place for a great price. There is also a Mickey Mouse themed pool. It is located very close to Disney World, next to the interstate. There is great wifi. We paid $75 a night which we recuperated in our budget because it was so easy to self cater here. You can see the latest prices here. 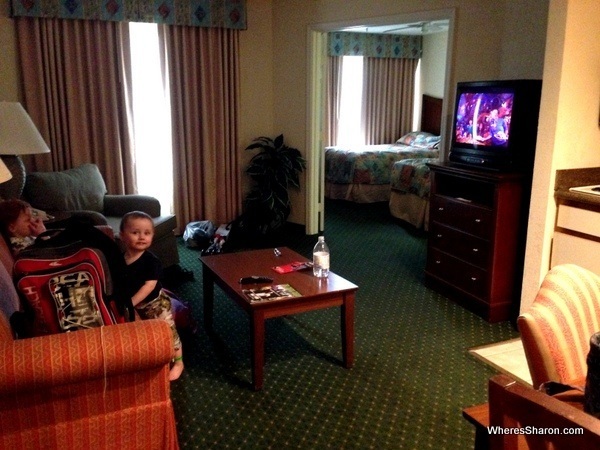 Nickelodeon Suites and Resort, Orlando – This places looks fantastic for Nickelodeon fans and is where we would have stayed if we had the money. The rooms, pools, water play area and the shows and facilities look perfect for kids. Read more about it here. Rodeway Inn Maingate Kissimmee – For a budget option close to everything with fantastic reviews for this price bracket, check out this hotel. It’s currently available for less than $40 a night. We spent about US$130 a day ignoring Disney World and car hire. This was very good value as we enjoyed ourselves when we were doing the things to do in Orlando besides Disney, ate well and liked our accommodation. They seemed to enjoy our time here. They are happier with a bit more space, probably because we all get on each others’ nerves less. Z has been extra cheerful and happy as he learned how to walk down stairs unassisted (very cute) while we were here. We enjoyed Orlando, but it is probably not somewhere we would choose to go again unless we had a massive amount of cash so we would go crazy at the theme parks. Although after our experiences at Disney World, I would be a bit hesitant about doing this too. 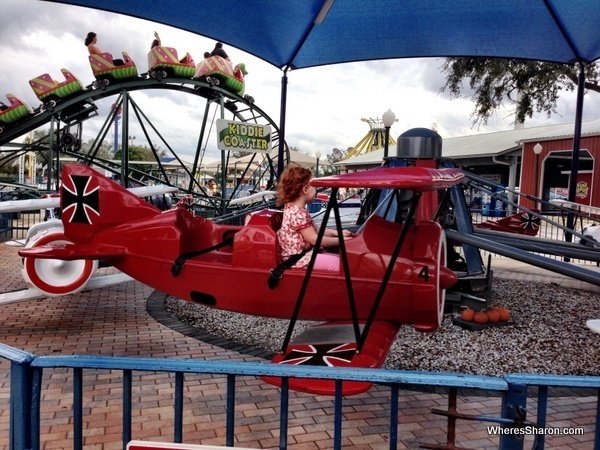 Regardless, there are many fun places for kids in Orlando, even on a tight budget, and we had fun. You can read more about this section of our road trip in driving Miami to New Orleans, and in our overall thoughts about our Deep South road trip. What are your favourite fun and cheap things to do in Orlando? Disclaimer: This post contains affiliate links which means that if you make a booking after clicking on one that we may receive a small commission. Thanks! 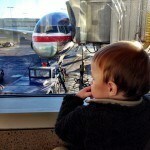 13 Month Update: Flying Home! Sharon is addicted to travel and loves sharing this addiction here with you. When she is not at home in Melbourne, she is exploring the world with her little ones. 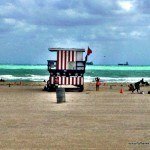 Great post about things to do in Orlando. I’ve been to Orlando more times than I can count, but can honestly say I don’t remember doing anything besides Disney World or Universal. Not that I’m complaining, but it’s nice to see there are other things to do. Yay for mini theme parks. We went to Disney World many years ago with my family and I convinced my dad to get on one of the super fast roller coasters, it was awesome. 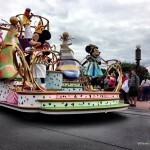 There is certainly lots of fun things to do in Orlando!! There is a darling history museum in Downtown Orlando as well (an easy walk from Lake Eola) that people often miss. And yes, lots of great little art museums. I think all the small ones are way better than the actual Orlando Museum of Art (which I think is terrible). Also the Orlando Science Center is great for young ones and shares a parking lot with the Orlando REP, which is a theatre entirely dedicated to children’s productions. These are in what’s called Loch Haven Park, which also has a darling folk art museum across the street which is the more kid-friendly art museums in my opinion b/c the artwork is so vibrant. Anyway, glad you made it to town. There are a lot of cute places here but you usually need to know a local to ferret them out. The great eateries like Tako Cheena and Dandelion Communitea Cafe … and fun dessert places like Hyppo. Would that hyppo place be related to ones in St Augustine? I had an awesome peanut butter popsicle there yesterday!! that, this is fantastic blog. A fantastic read. Thank you, I’ll be using these ideas today. We’ve got a down day between parks because we have to move hotels today ( we stuffed up, duh!) I also remember visiting some really pretty springs in this area, I can’t remember the name now, but we’ll pop over there again for sure. There was a chance of seeing manatees. Awesome! We saw some manatees in Homosassa Springs wildlife park on our way up to Tallahassee. They were very cool! Have fun!